William Franklin Draper (1912-2003), John Foster Dulles, 1959. Oil on canvas. Gift of Mr. and Mrs. Clarence Dillon. Princeton Portraits no. 397. 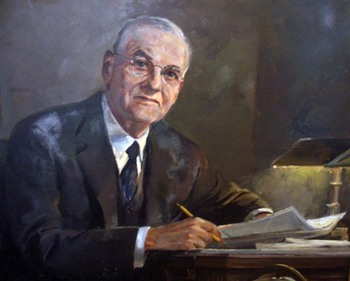 Former U.S. Secretary of State, John Foster Dulles (1888-1959) is remembered by many for his effective negotiations during the Cold War and his support of South Vietnam after the Geneva Conference of 1954. Here at Princeton, he is also remembered as a member of the Class of 1908, graduating Phi Beta Kappa, and an active participant in the American Whig-Cliosophic Society debate team. 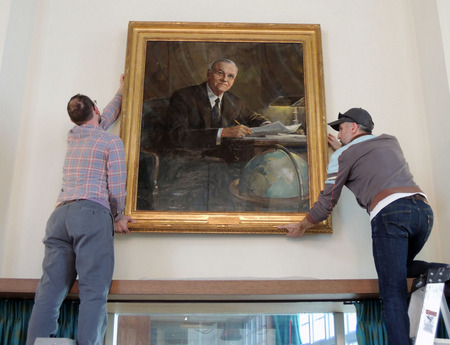 On May 15, 1962, his family was invited to Princeton University, along with dignitaries including former President Dwight D. Eisenhower, for the dedication of the John Foster Dulles Library of Diplomatic History. 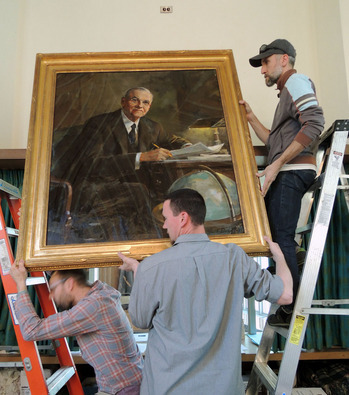 His portrait, painted by William F. Draper in 1959, was proudly featured at the event. 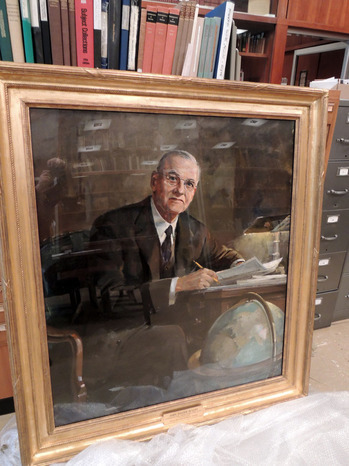 Today, thanks to the beautiful work of painting conservator Paul Gratz, our portrait of Mr. Dulles is cleaned and repaired and back on the wall of our Dulles Reading Room. 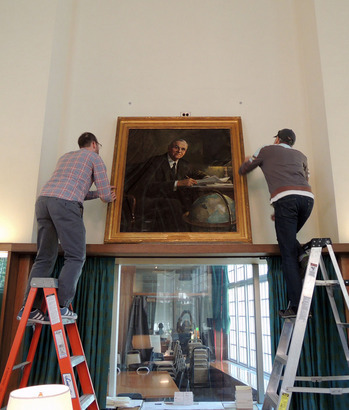 Sincere thanks also to our colleagues at the Princeton University Art Museum for their help in transporting and hanging the important work.